Oculus Sidecar WCA, Wheel Chair Access Sidecar. Oculus WCA wheel chair accessible motorcycle sidecar. 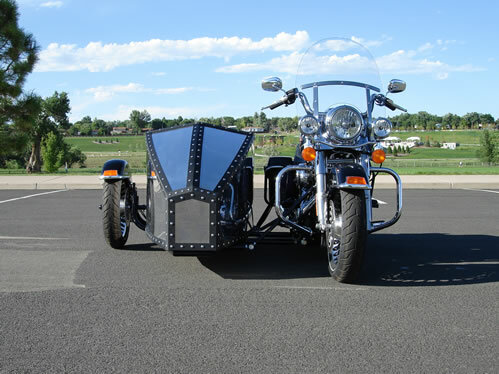 The Oculus WCA is a double wide style all metal construction sidecar with a fold down rear ramp and loading system designed for a passenger in a wheelchair. 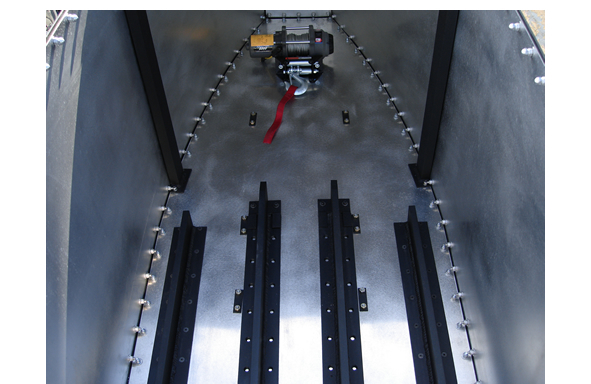 A heavy duty electric winch cable system and tracks secure and guide the wheelchair during loading and unloading. The driver can easily load the passenger by guiding the wheelchair into position and operating the hand held winch control. 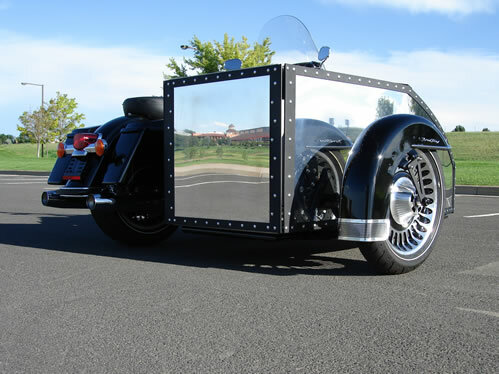 The guide tracks and lock clamps secure the wheelchair when the motorcycle is in motion. The body of the WCA is constructed from aluminum buffed to a mirror finish and powder coated steel. The frame is made of high strength 4130 Chromoly tubing that is TIG welded and powder coated. 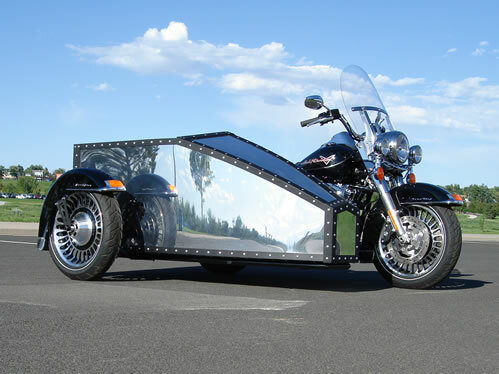 A 5 point fully adjustable mounting system of 4130 Chromoly and 1018 steel secures the side car to the motorcycle. The WCA is currently available for 2009 and later Harley-Davidson touring (FLH) models. Oculus WCA Sidecar front view.